Boston, MA Fantini & Gorga has placed a $13.4 million first mortgage for the completed and stabilized mixed-use property located at 900 Beacon St. The property, known as Gateway Boston, features a mix of one and one plus bedroom units on four floors plus street level retail. 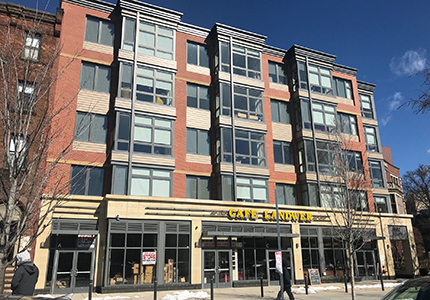 Gateway Boston is a five-story, plus basement, first class masonry and steel frame building featuring 32 residential units and roughly 4,500 s/f of retail. The property is located in the city’s Audubon Circle neighborhood within walking distance to the Fenway area, Back Bay and Longwood Medical Center. Completed in 2016, Gateway Boston features a lobby with lighting and contemporary overall finishes. The property offers underground parking and has high end finishes throughout including a full, stainless steel appliance package, espresso wood cabinets, granite countertops and washer and dryer in unit.